We are gearing up for Back-to-School and since I noticed last year that Kenzie's schoolmates were bringing gifts to their teachers on the first day, I need to get my shop on. From gifting and hearing from fellow teacher friends, gift cards are always well received. They are thoughtful and practical. 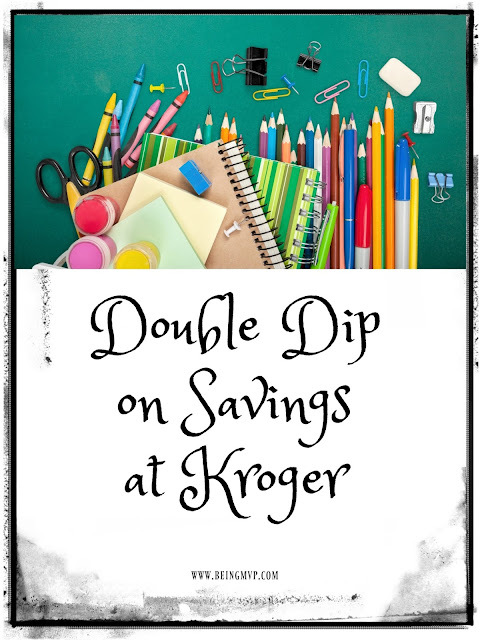 Did you know that when you purchase gift cards at your local Kroger grocery store BEFORE shopping, dining or hitting the town can save you up to 12%? For a limited time through August 9, 2016, you can double dip on savings with the purchase of select gift cards. Earn Credit Card Rewards: By using your favorite rewards credit card to purchase, you can earn points, miles or a percentage back on your purchase. Some credit cards even offer increased rewards for purchases made at grocery. For example, the Blue Cash Everyday® Card from American Express offers 3% cash back on groceries, and the Blue Cash Preferred® Card offers a whopping 6% cash back! Capital One QuicksilverOne®, AMEX EveryDay® and Citi® Hilton HHonors credit cards also offer increased rewards for grocery purchases. $12 in savings on a $100 gift card! Why not get rewarded for buying the gifts you were already planning on purchasing? You can pair iTunes gift cards with a mason jar full of pens/markers for your child's teacher. Or even a Regal Entertainment gift card with some boxed candy for a friend's birthday - There are so many birthday parties on the calendar right now! It's always nice to pick up just because gifts. Having a bit of savings along the way is a win-win. Plus it's one stop shopping while grabbing your groceries. Head to your local Kroger ASAP to take advantage of this great offer!